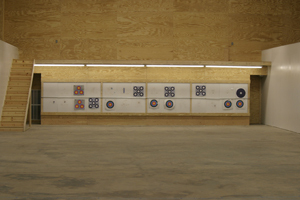 Come in and hone your shooting skills on upstate New York's best indoor archery range. Test your skills at distances up to 30 yards on the optimally lit, climate-controlled range. We take great pride in the successful archers that call Jim's Pro Shop home! 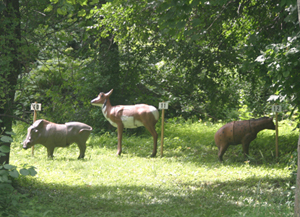 With 15 shooting locations set up at different unmarked distances located in a wooded setting, our 3D target range puts you right into realistic scenarios. TechnoHunt is a thrilling interactive archery target-shooting environment that transports you to the furthest corners of the world and lets you virtually hunt game many only dream of. Care to try your skills at hitting a target when the wind is attempting to blow your arrows off course? 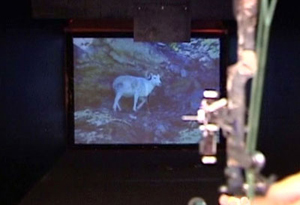 Think you can hit that white tail deer through the trees at 30 yards? What about 40? These are but a few of the amazing experiences the TechnoHunt simulator can offer.